Cleis Press and Viva Editions publisher and acquiring editor Brenda Knight shared her reading lists in a recent interview with Book Riot. I also ask trusted Cleis and Viva authors, such as Paul Russell, Rachel Kramer Bussel, or Alan Kaufman, for recommendations. In a recent article, Book Riot asked "What Do Editors Read?" In response, Cleis Press and Viva Editions publisher Brenda Knight listed the books she is reading for pleasure, what books are on her to-read list, how she chooses her books, and her favorite book to recommend. Knight relies on the city of San Francisco to choose her next pleasure-reading books: "I still “feel my way” through a library, walking along the shelves until something catches my eye. This is how I found Brothers to Dragons, an epic poem by Robert Penn Warren about the murder of a slave by Thomas Jefferson’s two nephews; its oxblood leather binding attracted me to it. I still visit San Francisco State Library’s rare book collection and never leave empty-handed. I am a browser at my favorite bookstores, like City Lights, Book Passage, or the Booksmith in the Haight, where I’d spend six hours a week checking out the shelves when I lived there. I also ask trusted Cleis and Viva authors, such as Paul Russell, Rachel Kramer Bussel, or Alan Kaufman, for recommendations." 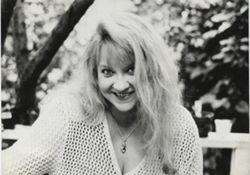 Brenda Knight is a twenty-year publishing veteran, starting at HarperCollins and is the author of the American Book Award-winning Women of the Beat Generation, Wild Women and Books and The Grateful Table (also available as an audiobook). Knight has worked with many bestselling authors including Mark Nepo, Phil Cousineau, Congresswoman Jackie Speier, and Paolo Coehlo. Knight volunteers for the American Cancer Society as a counselor for the newly diagnosed, teaches at the San Francisco Writers’ Conference and leads writing workshops “Putting Your Passion on Paper.” Publisher of Cleis Press and founder of Viva Editions, Knight lives in the San Francisco Bay Area.